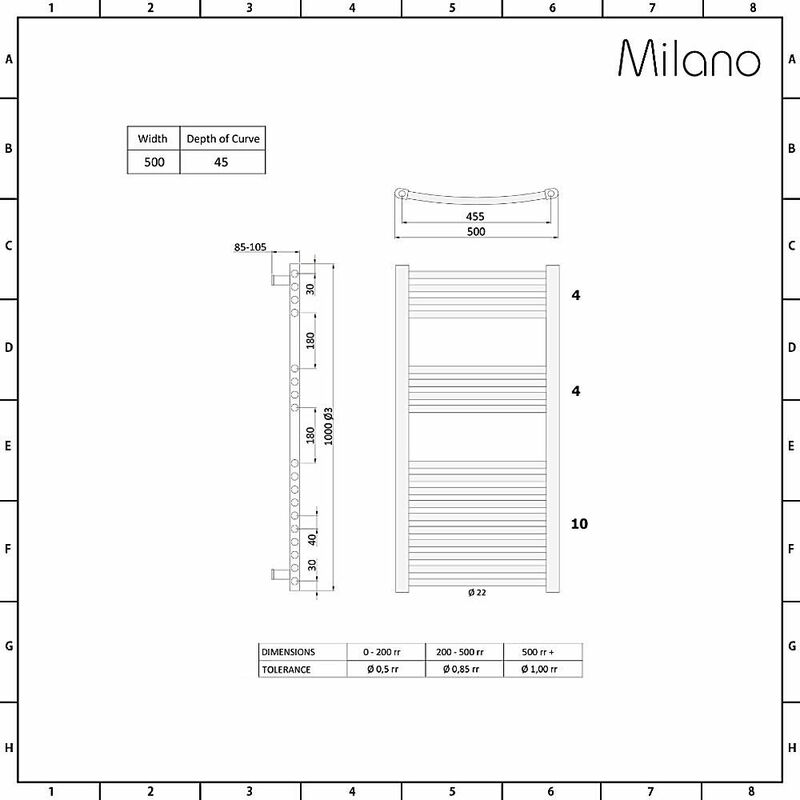 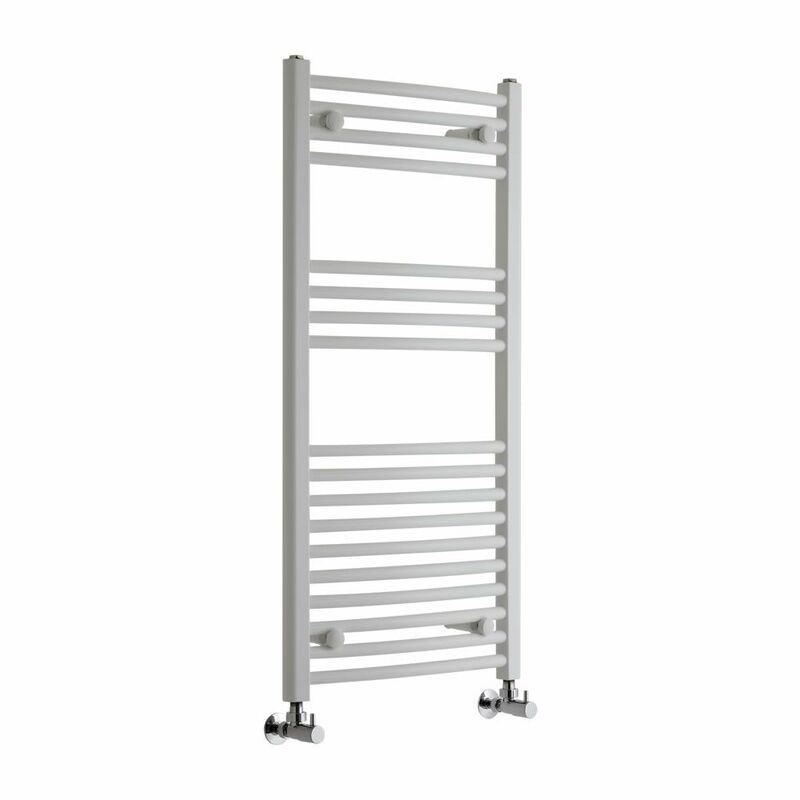 The simple and elegant design of the Milano Calder 1000mm x 500mm white heated towel rail will give your bathroom a modern update. 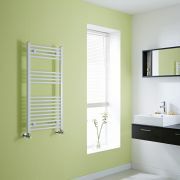 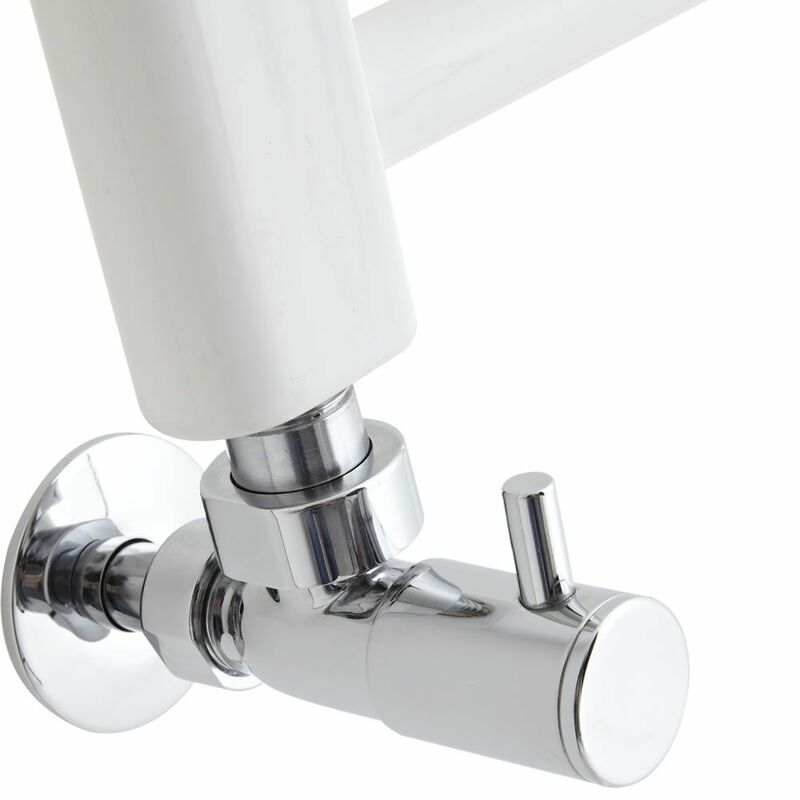 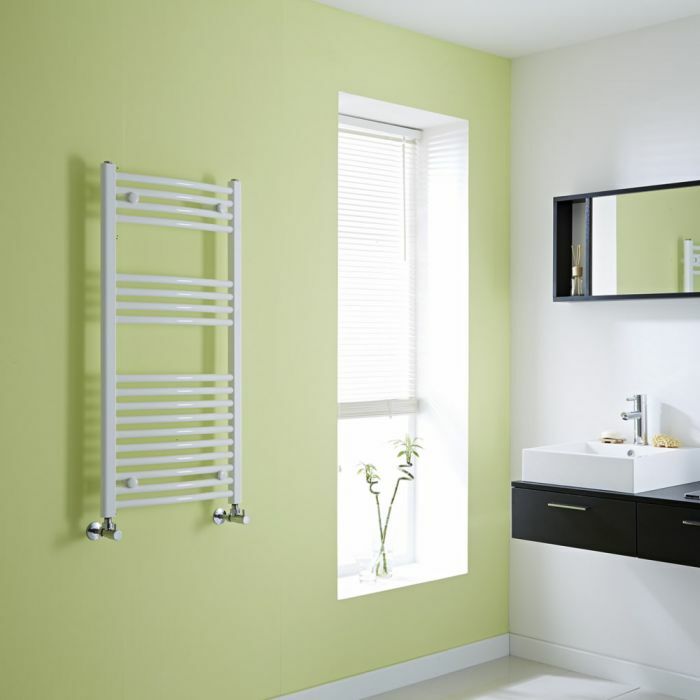 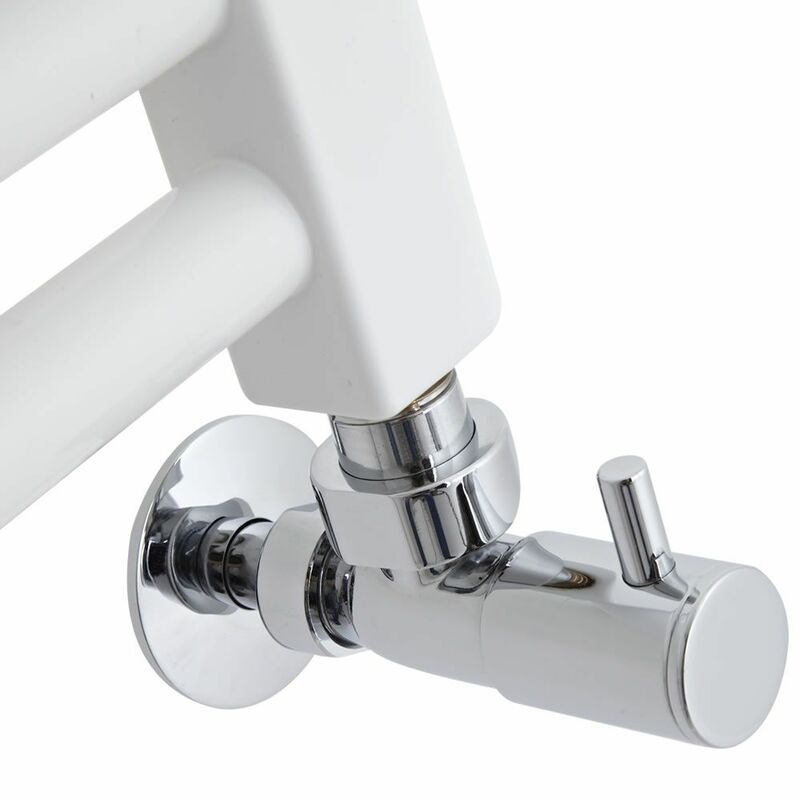 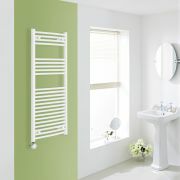 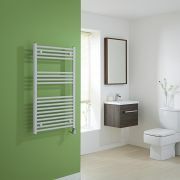 Combining stylish looks with superb functionality, this heated towel rail features a hard-wearing white powder coated finish that teams well with any décor and a ladder-style design with a flat profile, giving you plenty of space to hang your towels. 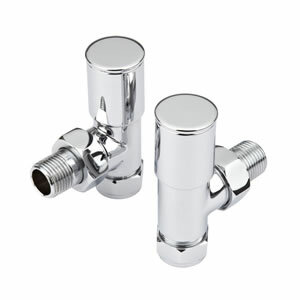 The fantastic hourly heat output means your towels will feel luxuriously warm in no time.